The OneHealth Tool is a model to be used for supporting national strategic health planning in low- and middle-income countries. The tool facilitates an assessment of resource needs associated with key strategic activities and their associated costs, with a focus on integrated planning and strengthening health systems. This model seeks to leverage the most useful components of the different tools that currently exist and is designed in a modular fashion allowing for program specific costing as well as health system component costing. The development of the tool is overseen by an inter-agency group consisting of experts from UN agencies and development institutions (the IAWG-Costing). 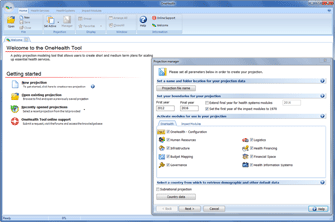 The OneHealth Tool 4.x is a complete package for installing or updating the OHT application on your machine. This install file includes the program application and all necessary data except for the individual demographic country files. This data can be downloaded directly from OHT (Internet connection required) when creating projections, or by downloading and installing the optional Country Data Package. The Country Data Package is an optional download which includes the demographic data for all countries based on World Population Prospects (WPP) 2017 as well as additional help language files. 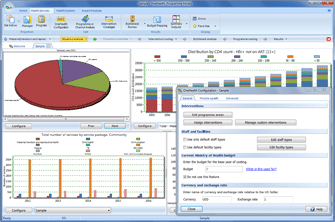 This file is considered optional since OHT will prompt the user to download data as needed when creating projections. The Country Data Package is useful should the user like to install all the country data during a single session or if a reliable Internet connection is not available during Spectrum usage. Since the Demographic data does not normally change, installation of data will only need to occur once and will work with subsequent installed versions of OHT 4.x.